How long have you been doing this? I have been dancing most of my life. 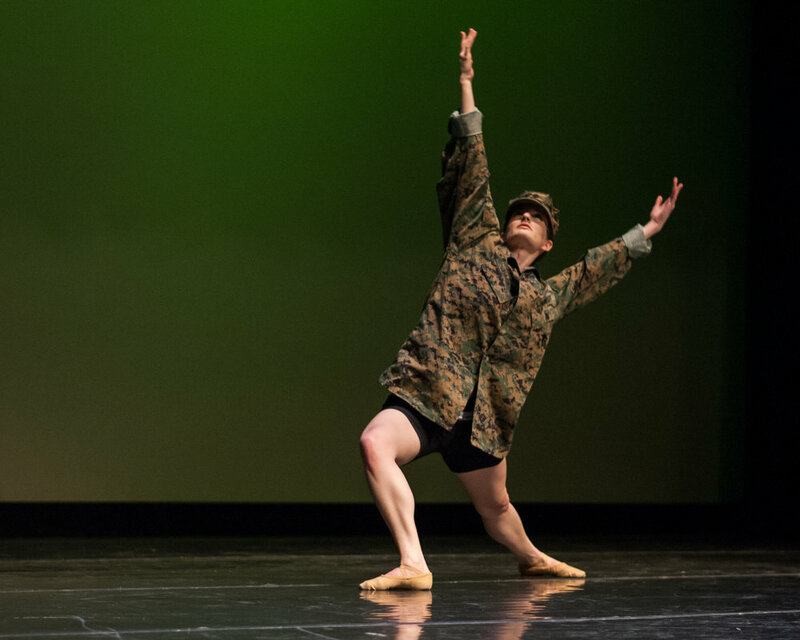 I have been working as a choreographer of military centered work since 2007. How has this helped you as a veteran? It has changed my life by allowing me to explore and investigate unresolved themes that were associated with my service. It began by giving me the opportunity to unpack experiences that haunted my memories – on stage – and to insert myself into the scenarios in order to see it from different perspectives. Now it allows me to research the larger questions about the invisible permeation of war throughout society, the effect of war on the body, and how the performing arts connects with the war experience. This effort allows for important conversations to start, at all levels of experience. It gives me purpose. If you could give one piece of advice to veterans who feel completely lost since being discharged what would it be? Find something that helps you rediscover purpose, service, and comradery. For me, that is the performing arts. For another veteran it might be rock-climbing, mentoring, gardening, hiking, yoga, or volunteering. There is so much good to be done in this world, and the world needs you to do it. It doesn’t matter if you are doing good for a whole community, or for your hiking buddy – you can make an impact again.